Get the 2019 Calendar - FREE! Hey there! My name is Dina-Marie, welcome to Cultured Palate – my little corner of the internet. If we were meeting in real life, we would sit and chat in my living room with a hot cup of coffee. So, fill your mug, get comfortable, and let’s chat. As an RN (registered nurse) of 20 years, mom of 10 (yes 10), and making a complete lifestyle change from the corporate world to grape growing, I have had a lot of life experiences and want to share what I have learned. I love teaching others that small changes can mean huge results – whether we are talking health and well being, finances, organization, parenting – it is the small things that can make the most difference. We are dedicated to offering content that is current, and scientifically accurate. The goal is to focus on and help you, the reader. Our team of medical reviewers’ extensive training, research, and real-life experience helps make sure we are providing you with information that you know you can trust. 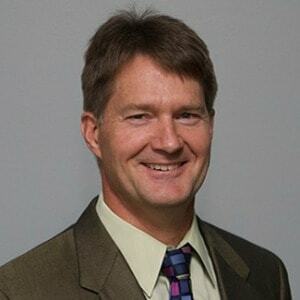 Dr. Dalton has provided quality Health Care in the field of Integrative Medicine for over 20 years and is the medical director at LIMA, Lubbock. He is a valuable member of the Cultured Palate team. Dr. Dalton has been published in several medical journals. Some topics of his publications include Vitamin C, Scurvy and Diagnostic Dilemmas in Lyme Disease. He has also been interviewed and quoted by Sports Illustrated about his knowledge on stem cell therapy. Dr. Dalton is a frequently sought after speaker for the Texas Osteopathic Medical Association (TOMA). He is also a national speaker for Nestle Health Sciences and formerly Pam Lab. Dr. Dalton is committed to delivering the highest quality care while treating the source, not just the symptom! He shares his life outside of work with his wife of over 25 years, who is also a physician. As the father of two and grandfather of two, he enjoys ranch style living in the country. Dr. O’Connor is a medical doctor with over thirty years experience in Emergency Medicine. He is the Chief Medical Officer for the Salutem Health Group, an Integrative Medicine Startup company in Indianapolis, Indiana. Dr. O’Connor’s professional interest and expertise is in Integrative Medicine, Naturopathic Medicine, Herbalism and preventative health care. He is an ultra distance athlete and has completed seven Ironman Triathlon events. These include two Ironman World Championship Triathlons in Kona, HI. Dr. O’Connor has also completed many ultra marathons including the Leadville Trail 100 mile run. 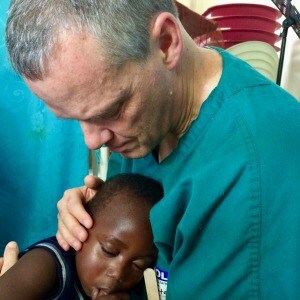 In his photo, he is pictured on one of multiple medical mission trips to Haiti, the Dominican Republic, Jamaica, Guatemala, and Ecuador. Dr. O’Connor is a husband, father of five, and grandfather of 4 children. He is an entrepreneur and enjoys organic gardening raising organic chickens for egg production, woodworking and is also an artist, and craftsman. This blog originally started in a season of my life when finances were spread reeaallly thin. I would tell my husband, John, some of the money saving tips I saw on blogs and websites. And then, I would tell him what they could have added or done instead. So he encouraged me to tell others what I had learned — and thus the blog began, under a different name, though. A few years into blogging, I changed the name to Cultured Palate and began sharing not only money saving tips, but also recipes, health information, updates on our life and vineyard in West Texas, and organization printables. It is truly amazing for me to stop and reflect on how much this blog has evolved and grown, and I am so grateful for this platform God has given me and for the people I have been blessed to meet along the way. I know living the life you are called to live can be HARD — you may face new adventures or have to go against social norms as we did. finding healing through diet – I have relied on diet to help reverse severe, chronic medical conditions that are considered irreversible. As a registered nurse, finding healing through diet was huge! But whatever challenges you are facing in pursuit of living purposefully — whether life in general, family, education, being a stay at home mom, diet, health, hobbies — your dreams are totally worth following and fighting for! But, all of the benefits have been well-worth the sacrifices to get there, and THAT is what I hope to encourage and equip you to do. My blog is not a “religious” blog, but you will find my faith woven into this blog because it is part of the fabric that makes me who I am. At an early age I realized that I needed God in my life for an eternal solution for my defiance of God’s laws. I knew that Jesus Christ had died to pay the penalty for my disobedience and rose from the dead to conquer sin and death. With that knowledge, I gave my heart and life to Jesus Christ. That is the foundation of my faith. The next most important thing in my life is my family. God has blessed us with 10 children – and yes, they are all biological! 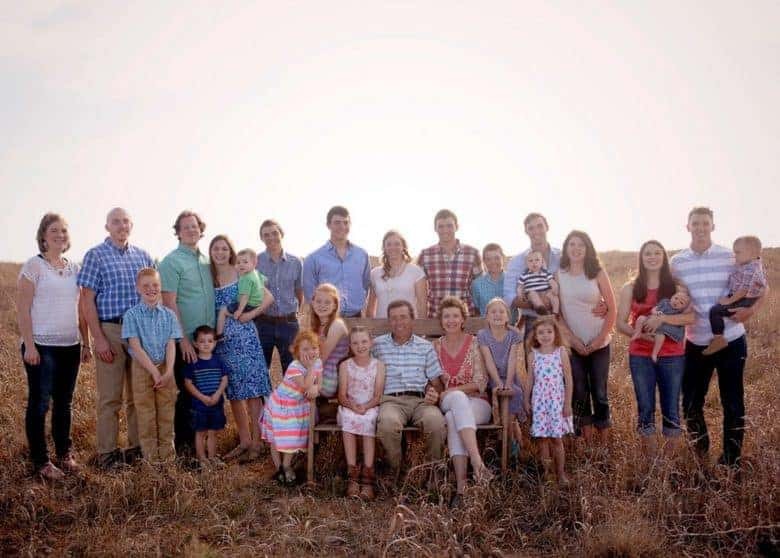 Our oldest 4 children are married, and we have 11 grandchildren – 6 boys and 5 girls. Almost everything you will find on my blog is “family friendly” because family is what I am about! What does Cultured Palate mean? artificially nurtured or grown: cultured bacteria. The name of this blog is based on definition #2. Cultured (or fermented) probiotic foods are an integral part of the GAPS diet. The GAPS diet focuses on replacing the harmful, toxin producing bacteria in your gut with beneficial, cultured bacteria like those nurtured and grown in foods like yogurt, kefir, sauerkraut, and sourdough bread. The GAPS diet was my introduction to traditional food preparation, which continues to dictate my philosophy in cooking. After doing GAPS as a family, everyone has transitioned to a traditional diet — with occasional splurges and treats! While definition #2 is the main reason for the blog’s name, I also like how the other definitions relate to my life. Definition #1 – As far as being enlightened, I know that I DO NOT know everything. But, God has definitely taught me a lot throughout my years of life. Definition #3 is quite appropriate too as we are now farming. We cultivate and tend our grapes all throughout the growing season with the goal of producing the best possible quality grapes we can, while still trusting that God is ultimately in control. What will I find here? Now, I don’t like to think of myself as an “older woman,” but I do know that I have learned a lot through this life — many times the hard way — and I want to share what I have learned with others. Everything I share falls under the umbrella of me trying to “teach what is good” and what has worked for me, to others. A lot of topics fit under that umbrella but I want to concentrate on simple recipes and healthy living! You will find lots of real food recipes that will help you put healthy simple real food on the table for your family. I aim for giving you recipes that use whole foods and that are budget friendly like Spicy Beans and Rice and Easy Chicken Alfredo. Hopefully, recipes like Chicken Broth and Homemade Cream of Mushroom Soup can help you reduce the amount of prepackaged, commercial foods you feed your family and help you put nourishing food on the table. However, I don’t think anyone can eat perfectly all the time — check out my post on the 80/20 rule regarding that subject! You will find information about the GAPS diet. I have several posts about my GAPS journey as it happened and I have recently written a book as a starter guide for people who are interested in the GAPS diet: GAPS: How to Start. You will find the Daily Life Planner and calendars to help you keep life organized so you can spend more time with your family and doing the things that truly matter. I am a list person and a planner, so these pages have been designed to help me, but I trust they will help some of you out there as well! You will find printables designed to inspire and encourage. From Scripture printables to inspirational quotes, there is something for everyone! Be sure to check out the Cultured Palate Shop to find all the printables available. You will find Scripture Writing Prompts to help you dive into the Bible. God has really been using these to minister to me, and I hope they will bless you as well. You will find DIY recipes and natural health solutions that will save you money and restore your health gently. My post about the Gallbladder Cleanse is actually one of my top posts, and I STILL do this cleanse periodically as maintenance. And that is just the beginning of the content you will find here!!! I have created quite a few free resources to help you live life with purpose. As an email club member, you have FREE access to the resource library – Join the Email Club! Like I said, these are all areas that I have learned lessons in, so I want to share those lessons with you! If you made it to this point, your coffee is probably gone by now, so fill ‘er back up, and feel free to browse around for awhile. If you can’t find what you are looking for or if you have any questions, feel free to comment or email me, and I will do my best to help you. Wendy, I sent an email. Do you have any posts or a different site for homeschooling a large family? Nina, I really do not but please feel free to email me with any questions you have and I will be glad to help if I can. Hi, thank you for your bio. I’ve a friend who was diagnosed with lymph and bone cancer. They took one chemo treatment and started reading about health and alternative medicine. They opted out of traditional medicine therapy and have radically changed their diet along with adding supplements and IVC therapy. It’s only been a few months and they’re continually looking into healthy ways to prepare meals. I found your sight by looking for a “sweet” New Years treat that would not compromise their diet. I’m grateful for you sharing and thankful for how the Lord has led you to share with others. Thank you for you testimony of the grace of God through Jesus Christ. Kimberly, I appreciate your encouragement and am praying for your friend! Could you please email me your email so I can ask specifics? Thank you! D Kop, I sent an email. I am interested in corgipoo puppies. Could you please email me and let me know if you are planning any new litters? Lori, I sent an email. Your website is so interesting! So many interesting tropics! Wondering if you anticipate another litter of corgipoo soon? They are SO CUTE! Angie, I sent an email. Regarding the mint face scrub, if i leave out the mint oil and just use the mint leaves, does it (the mint) develop mold? Does it need to be refrigerated? Can it be left on the counter at room temp, and mixed with a wooden spoon when ready to use? Christy, you can leave it out on the counter without any problems. If it develops mold, you will see it. You can certainly refrigerate it and that will extend the shelf life but, it will last for awhile without it. I use mine up and have not had any problems with mold. I hope this helps! As an RN (registered nurse), I have learned the importance of diet for our health. Being the mom of 10, and leaving the corporate world to start a vineyard, I have experienced a lot and I want to share what I have learned. Living purposefully for the life YOU are called to, is the only way to live! Get Your 2019 Calendar FREE! I have bucked the social norms by having 10 children, home educating, and leaving a cushy corporate world to follow my dreams. Living purposefully for the life YOU are called to, is the only way to live! Join the Email Club - get access to my FREE resource library filled with ebooks, worksheets and more! Copyright © 2019 Cultured Palate. Site Credits.Branding by Melissa Rose Design.Development by Once Coupled.